Join fellow attendees when sessions conclude by wrapping up the day with refreshments as the sun goes down. After your dinner plans, return to the Ocean Lawn to continue the conversation, enjoy a nightcap, and a sweet treat. Located just a short walk away, join fellow attendees at Half Moon Bay Golf Links for dinner, drinks, networking, and interactive entertainment! 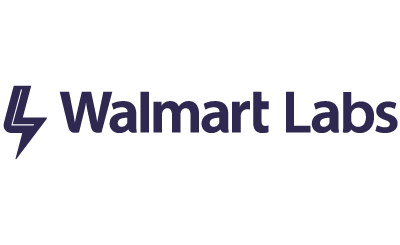 Challenge fellow attendees to a game of bocce ball, 3-hole putting contests, and test your chipping skills! We are no longer accepting booking for activities. Please check with the event staff at registration for availability onsite. If you have any questions, please contact events@linuxfoundation.org. 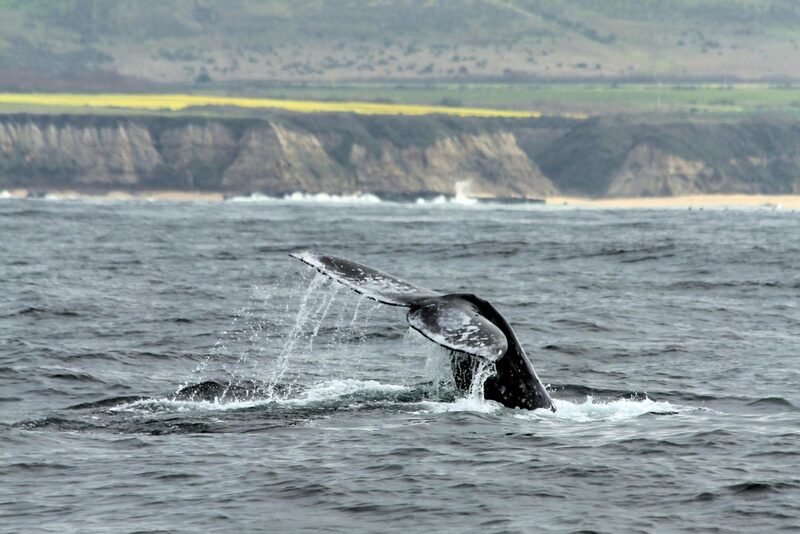 The Oceanic Society invites you to join them on a naturalist-guided whale watching charter out of Half Moon Bay, California. Every year, thousands of gray whales embark on lengthy migrations from Alaska to Baja Mexico, passing right along the California coast. During this outing, you will cruise along the coastline looking for gray whales and will have the opportunity to see other wildlife including humpback whales, seals and sea lions, porpoises and dolphins, and many species of seabirds. Please note: Passengers under the age of 16 must wear a life jacket on the boat and all passengers under the age of 18 must be accompanied by an adult. 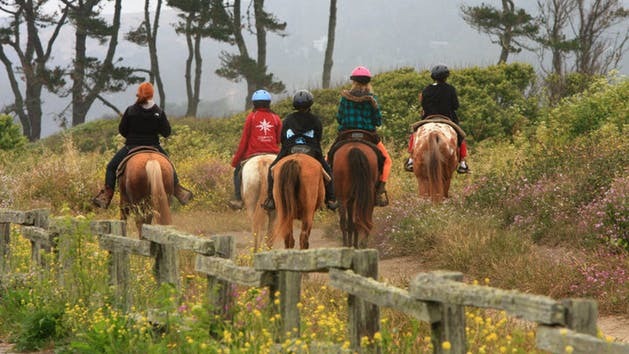 This guided horseback ride takes you further down the Coastal Equestrian Trail. Attendees will go onto the bluffs above the ocean, down onto the sands on Poplar Beach, north on Poplar Beach, and then back to the ranch. Please note: there are height and weight restrictions to participate in the Trail & Beach ride. 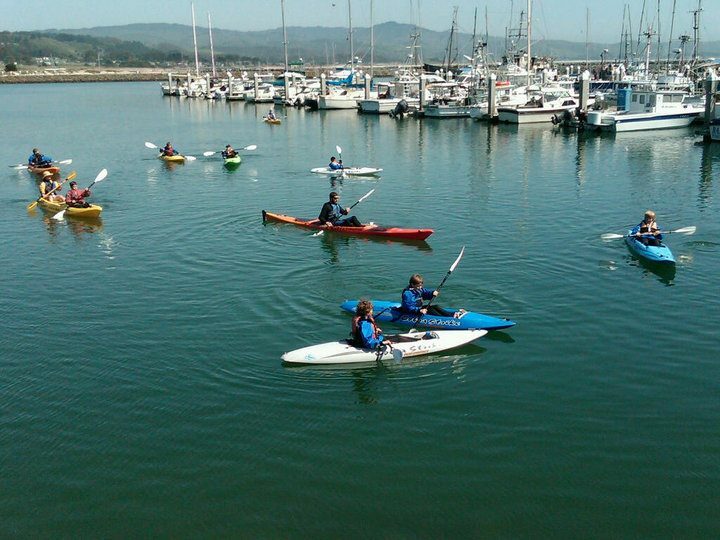 After a brief kayak and safety orientation, attendees will launch their kayaks and glide across the tranquil waters of the Pillar Point Harbor amid the seabirds and harbor seals. Guides will point out the unique sites and offer information on topics such as the local history, bird life, marine mammals, and the legendary Mavericks surf spot. Dress: Wetsuits and waterproof paddle jackets will be provided for all attendees on this tour. Make sure to bring sunblock, sunglasses with retention strap, synthetic sweater, shoes that can get wet, and a hat. A change of dry clothes is recommended in case you get wet during the trip. 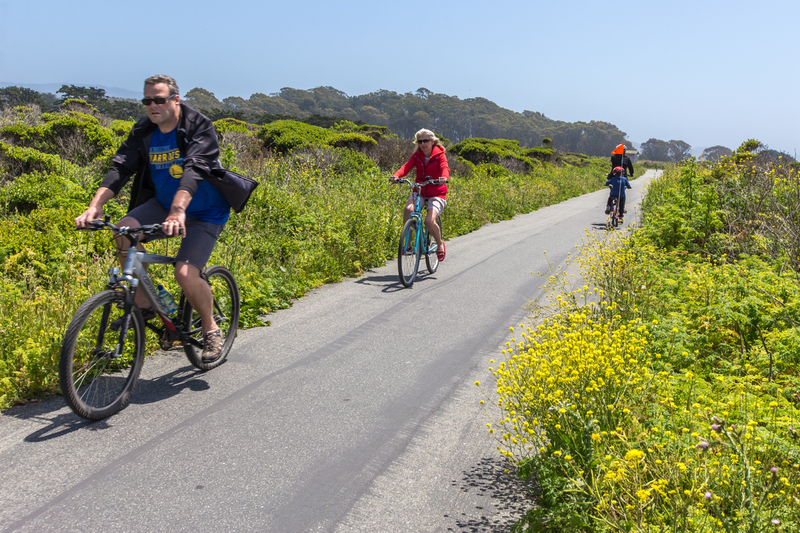 Attendees will head South on the famous California Coastal Trail on this bike tour! Tour guides will lead attendees along majestic ocean bluffs and you will enjoy beautiful beach views as you wind your way along Half Moon Bay. Along the way, you will stop for breaks and have plenty of time to take in the scenery. Attendees will enjoy an afternoon of wine tasting at La Nebbia Winery and glass blowing at Half Moon Bay Art Glass! La Nebbia Winery is the oldest bonded winery in Half Moon Bay and has been a local landmark since 1979. The gardens and picnic areas throughout the property offer a great space for sipping wines, enjoying a picnic, and playing bocce ball. At Half Moon Bay Art Glass, attendees will have the chance to create their own blown ornament or a molded mini heart. With the help of friendly instructors, you will gather, blow, shape and color the glass in a safe, fun atmosphere. 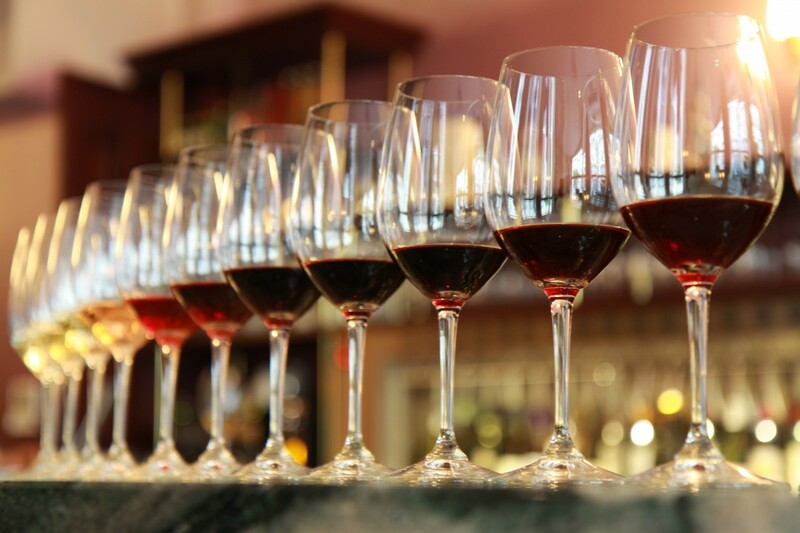 Attendees will enjoy an afternoon of wine tasting at La Nebbia Winery, the oldest bonded winery in Half Moon Bay, a local landmark since 1979. La Nebbia Winery’s quaint and old world tasting room introduces visitors to a wide sampling of grape varietals and wines reflective of the expansive and diverse wine regions of California. The gardens and picnic areas throughout the property offer another great space for sipping wines, enjoying a picnic, and playing bocce ball. Please note, attendees are responsible for booking and payment of the following activities. 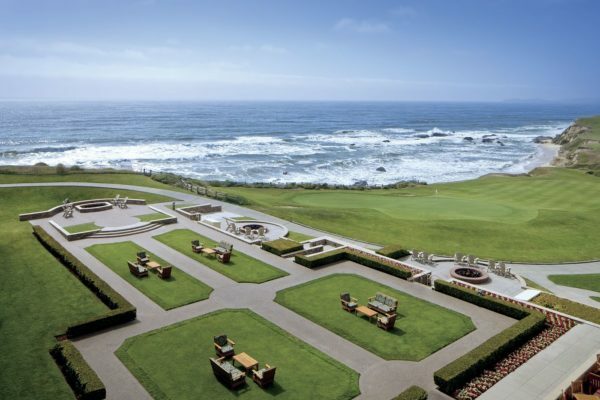 The beautiful Ritz-Carlton, Half Moon Bay is surrounded by two world-renowned championship courses. The two distinctive 18-hole golf courses are set upon dramatic coastal bluffs overlooking the vast Pacific Ocean. The Old Course, originally designed by Arnold Palmer, is laid out in an American Parkland style and features narrow, Cypress tree-lined fairways, challenging doglegs, and abundant water hazards. The contrasting Arthur Hills designed Ocean Course has been created in the traditional Scottish Links style. It delivers fast, wide-open fairways, undulating greens and is bordered by golden, native grasses. To book your tee time, please contact DJ Tevis at DJTevis@hmbgolflinks.com or 650.712.2211. Cancellation Policy: You must book one of the reserved tee times by February 28, 2019. Any reservations made after this date will be based on availability. 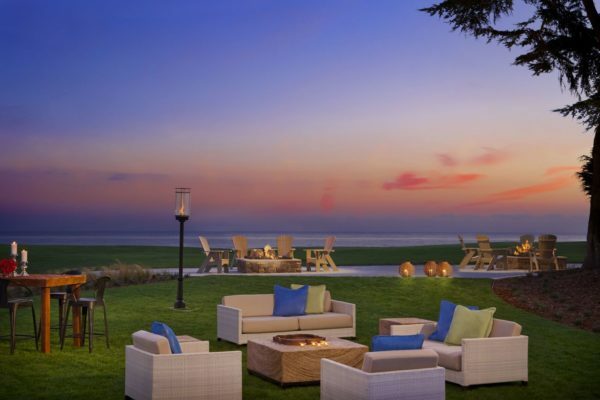 Surrounded by the beauty of the Pacific ocean, attendees can find tranquillity at The Ritz-Carlton Spa, Half Moon Bay. The spa features 13 treatment rooms, as well as adult-only relaxation facilities including a co-ed whirlpool with a fireplace and ladies’ and gentlemen’s saunas and steam rooms. Open Source Leadership Summit attendees will receive a $25USD spa credit towards any 50 or 80 minute regularly priced massage or facial. To reserve a spa treatment, please call 650-712-7000 or book online. When you arrive at the hotel, you will receive a voucher from the front desk for your OSLS spa credit which you will need to present at spa check-in to receive the discounted rate.